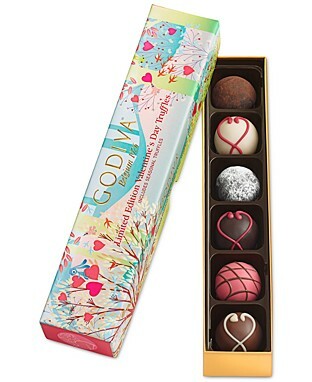 Love is in the air, and GODIVA, like any other love, comes in all shapes and sizes. Indulge in the 6 pc. Limited Edition Valentines Day Truffle Flight. This truffle flight from Godiva includes six limited edition truffles to show that special someone how sweet you think they are. 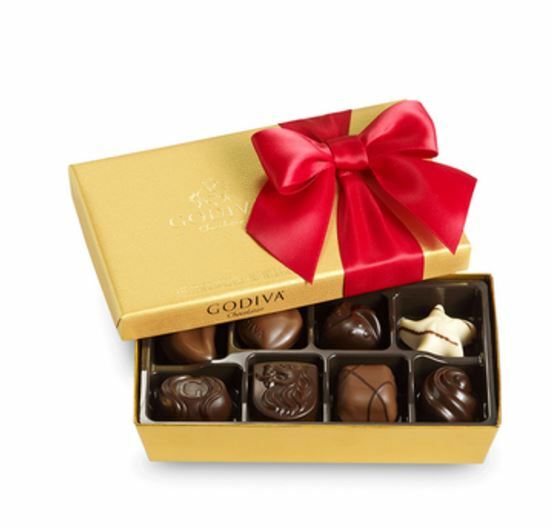 Or gift a loved one with the Godiva 8-piece Ballotin Box Of Chocolates featuring classic Belgian fillings like silky ganaches, creamy pralinés, rich caramels, fruits, and nuts. Gift these delicious chocolates or enjoy them yourself! Godiva 8-piece Ballotin Box Of Chocolates. Specially selected to warm the heart. This truffle flight from Godiva includes six limited edition truffles to show that special someone how sweet you think they are. This post and giveaway is sponsored by Godiva. All opinions are my own as always. Please leave a comment, What is your favorite kind of chocolate? Milk, White, Dark Chocolate, Any? I love milk chocolates! Thanks for the chance! My favorite is dark chocolate, but I love milk chocolate, too. Milk chocolate is my absolute favorite! Oh, P.S. My favorite chocolate is dark chocolate, but I love milk chocolate with nuts too! Nut clusters disappear quickly around here! I love dark chocolate the most! White comes in 2nd place. Dark chocolate is my most favorite. I like dark chocolate. Thank you for the giveaway! My favorite chocolate is dark! I love all chocolate and it loves me! I have yet to meet a chocolate I don’t love! I will even eat dried cocoa nibs! I’m a milk chocolate lover! I have recently started to really like white chocolate.